We have all been appalled by the murder last week of our friend and colleague Tom ap Rhys Pryce. Tom was robbed and killed while walking the short distance from a tube station to his home last Thursday night. 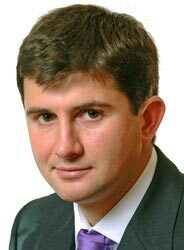 Tom was a 31 year old London Litigation associate who joined the firm as a trainee solicitor in 2000 and spent time during his training contract in the New York office as well as in London. He was a delightful man whose cheerful disposition and gentle manner made him a real pleasure to be with. Naturally modest and self-effacing, he combined a calm and relaxed demeanour with an infectious enthusiasm, a genuine interest in others and a constant sense of fun. Above all he was a thoroughly decent, sincere and down to earth man who engaged with the most senior and junior of his colleagues and clients in exactly the same way. He was universally liked and respected by all who dealt with him. His marvellous tenor voice will be missed by the Linklaters Choir. He was also a clever and talented lawyer with all the skills needed for a great career. The focus of his practice was on banking disputes and he worked on some of the most difficult and most successful jobs that we have handled. His special blend of technical ability and disarming charm made him popular and effective with colleagues and clients alike. He was recognised as having a real gift for winning round the most demanding of clients. He was also recognised as a considerate man who went out of his way to look after his friends and colleagues. He actively participated in the firm's pro bono advice programme. At the time of his death Tom was in the last fortnight of a secondment to the London litigation team of The Royal Bank of Scotland Group. Throughout his secondment we received a stream of very positive feedback about Tom as a man and as a lawyer. He was a wonderful ambassador for the firm. It was obvious to those who knew Tom how important he considered his relationship with his fiancée, Adele, to be. For those of us who spent time with them together, it was easy to see why. They were due to marry in September. Tom leaves behind many friends at the firm. It is a painful loss. We can however take inspiration from the remarkable strength and resilience shown by Tom's family and Adele, to whom we have offered our heartfelt condolences on behalf of the whole firm. We are discussing with them ideas for a fitting and lasting memorial to Tom. It was a privilege and pleasure to know and work with Tom. He will be missed.